As Sikhs we take great pride in celebrating the different dates in Sikh history; the dates when the Guru’s were born or became the Guru; Or just important dates in Sikh history. Well if we don’t know when these dates are celebrated then how can we do this? 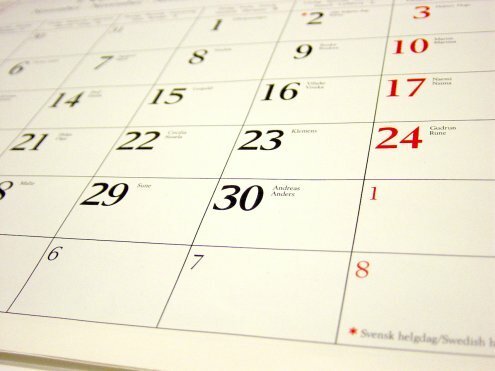 These days printed calendars are less common, particularly for the younger generation who has become very accustomed to computers & managing their week using electronic calendars. Normally we would look at a printed calendar or look-up the Gurpurb dates online, but now you can easily add the Sikh calendar dates and info to your electronic calendar very easily. No need to manually enter each date individually on your calendar. This has already been done on a shared calendar that you can now add to YOUR calendar. Not only will you see the Sikh events on your calendar, but if you open up the calendar entry there is a summary about the event as well as a link to the full article on SikhiWiki.org. This way you can learn more about the history and why we celebrate that particular day. Sounds cool right? So how do you get the Sikh Calendar to show up on your calendar? Below you will find instructions on how to do this in the three main web email/calendar systems. Just follow the instructions below and the calendar will continue to be updated automatically as the years pass! Go to your calendar. You might need to sign in with your Windows Live ID. On the toolbar, click Subscribe. In the Calendar name box, type a name for the calendar. Next to Color, select a color for the calendar. In the Charm list, click the icon you want to associate with events for this calendar. You don’t have to select a charm. If you do, that charm appears on each day in your calendar when an event for the calendar you’ve subscribed to occurs. Click Subscribe to calendar, and then click Done. In order to to add the auto updating Sikh Calendar to your yahoo calendar you need to upgrade to the latest beta version of yahoo calendar. http://www.google.com/calendar/ical/sikhjantri%40gmail.com/public/basic.ics (This is a the address to bring in the Sikh Calendar). You can name it “Sikh Calendar” or whatever you prefer. Login to your email and go to your calendar. At the bottom of the calendar list on the left, click the Add down-arrow button and select Add by URL. Enter the address in the field provided. For additional option mail clients and mobile phone devices see the instructions listed here. Use this iCal feed instead of the one in the linked instructions. Most users that have mobile phones synchronize their calendars with their email service, however if you added the Sikh calendar dates using one of the above methods then it is likely that these events won’t show up on your mobile device because the Sikh Calendar feed is actually like a separate calendar.